With the festive season fast approaching, many of you football enthusiasts will have a pair of football boots at the top of your Christmas wish list. 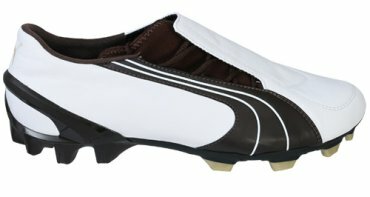 Footy-Boots.com has put together a guide to help you choose the best pair of football boots to make sure you don’t end up with a turkey! 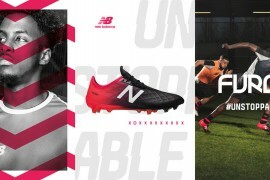 Cost and looks may be the most important aspects to you when you are choosing a pair of football boots, but you should really first consider the comfort, fit and practicality of the football boot. Try different brands and models of football boots on. The football boot should fit like a glove on your foot to reduce any possibility of your foot slipping on the playing surface, resulting in a potential injury. Remember, you may have to wear your football boot for ninety minutes at a time so the comfort factor is imperative. Consider the shape of your foot. 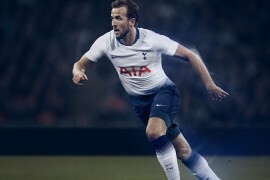 For example Nike Mercurial Vapors are renowned for not being good for wide feet, whereas Puma football boots tend to be better for the wide foot. Make sure the football boot you choose is suitable for the surface you are playing on. Will you be playing on firm ground, soft ground, astroturf/synthetic pitches? Ensure you choose the right set of studs for the right conditions. The astroturf/synthetic pitches require an underfoot that will give a better grip for the foot so the astro turf trainers would be perfect because of their short rubber studs. Screw in studs should be worn on muddy, soft pitches as they provide better grip in these conditions. On dry, hard grass pitches you should wear bladed (mid ground) or bladed studs (hard ground). View the Football Boots Guide for more information. The football boot upper can be made of various material. Although budget may limit your choice, the upper material should be considered when choosing a football boot. Soft, yet very strong, also moulds to the contours of the foot and is water repellent. Not quite as soft or strong as the Kangaroo leather, but they are water repellent and age well. This leather material has a polyurethane coating, doesn’t age as well as full leather. Synthetic leather can be found at both ends of the scale. The cheap end tends to rip and tear easily. Whilst the complex synthetic material found on football boots like the Nike Mercurial Vapor are strong, waterproof, but lack the natural moulding to the foot that you would find with genuine leather. As technology improves in new football boots, so the lace position moves. Lace position can vary from the traditional top of the foot position, to the side of the boot. Side lacing such as on the Puma V3 is often considered the better option, in order to promote a flat ‘sweet spot’ surface on the top of the foot, and reduce nerve pressure. Football Boots may cost anything from £20 to £150 and you generally get what you pay for. Many of the lower price point football boots are less technologically advanced versions of the brands’ more expensive models. If you are on a tight budget, look out for superseded models which are often discounted, but are still great football boots. Online football boot websites such as kitbag.com often sell football boots cheaper than high street retailers. You want to look the part when you play football, so the look of the boots is always a consideration. Football boots range from the traditional black colour to crazy wallpaper designs, like the Hummel Pio Sport! Nike iD even lets customers personalise their own football boots so you can make them look exactly how you want. You try a football boot on in a shop not out on a football pitch, so it’s impossible to get a real feel for it. Ask your team-mates and friends what football boots they wear and what they think about the football boots. Are they comfortable? Have they had any problems with them? How well they have worn? Are they easy to maintain? Right then. 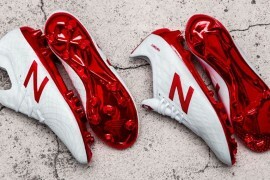 After taking these 7 tips into consideration, you’re now ready to buy your new football boots! Next articleWin a free Nike iD session!